All things great are served up on the Morley tray. 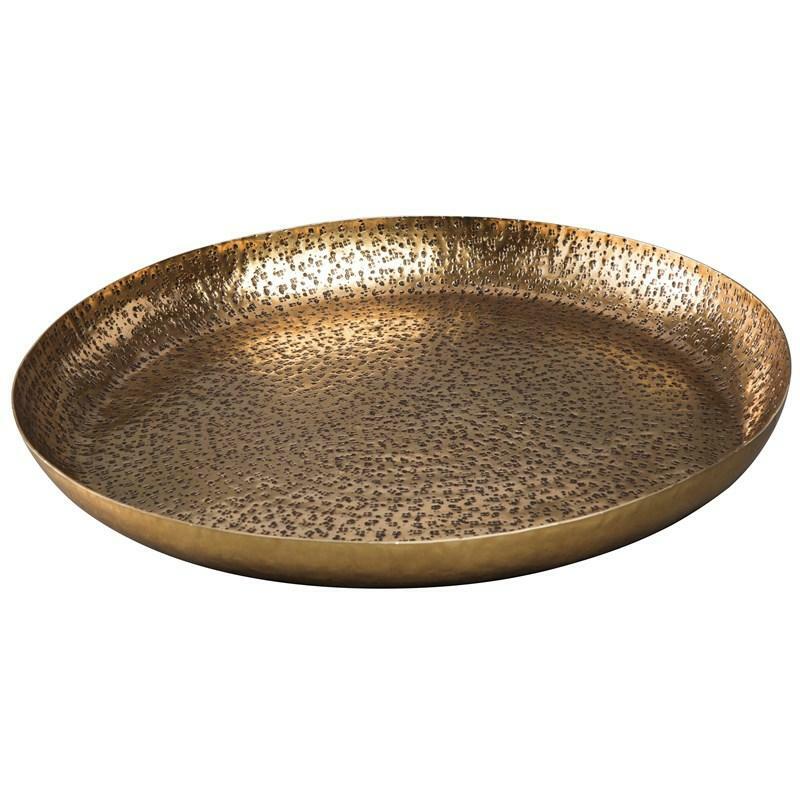 Antiqued brass-tone finish spreads warmth throughout the metal and your home. Hammered effect on the inside is simply gorgeous. 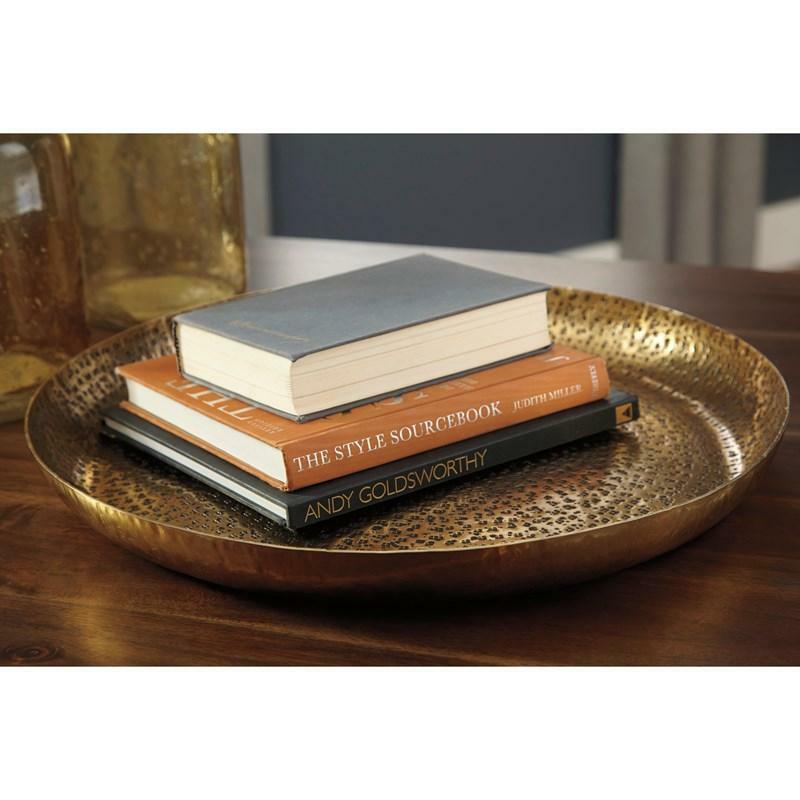 Flaunt your stylish new piece with other decor, or enjoy it as a stand-alone item of beauty. Volume 2.78 cu. ft. / 0.08 cu. m.